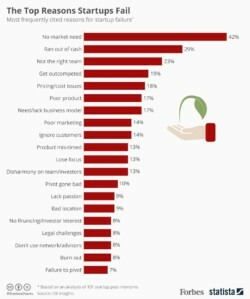 One of the top three reasons why startups fail is because they don’t have enough money to keep their doors open. Consider some ways to deduct startup costs. Maximizing deductibles to relinquish cash is crucial for the longevity of early stage startups. Have you started a company recently? Did you incur some expenses before you officially opened for business? You may be entitled to deduct business startup and organizational costs that will put money back in your pocket. Let’s set the record straight. Consider the following: The IRS says that entrepreneurs can elect to deduct up to $5,000 of business startup and $5,000 of organizational costs. Startup costs are typically considered capital expenditures. Meaning they’re costs you incur that are long term. (b) investigating the creation or acquisition of an active trade or business. 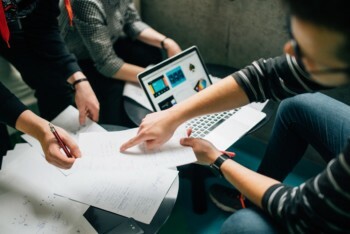 Startup costs include amounts paid or incurred in connection with an existing activity engaged in for profit, and for the production of income in anticipation of the activity becoming an active trade or business. So what are startup costs? Startup costs include amounts paid for the following. An analysis or survey of potential markets, products, labor supply, transportation facilities, etc. Advertisements for the opening of the business. Salaries and wages for employees who are being trained and their instructors. Travel and other necessary costs for securing prospective distributors, suppliers, or customers. Salaries and fees for executives and consultants, or for similar professional services. So what about Organizational Costs? Organizational costs generally include the costs of creating a corporation or partnership. The IRS outlines both qualifying and non qualifying costs associated with organizing a corporation or a partnership. Keeping good records and working actively with your accountant on your finances is a great way to maximize potential savings. There’s a lot to juggle and your time and money are too valuable to waste. Managing finances with tools like Veryfi allow you to grant your accountant real-time visibility. That means they can help keep an eye on your finances and find you more opportunities to free up money for you business.